Item number Na1548 from the MOA: University of British Columbia. 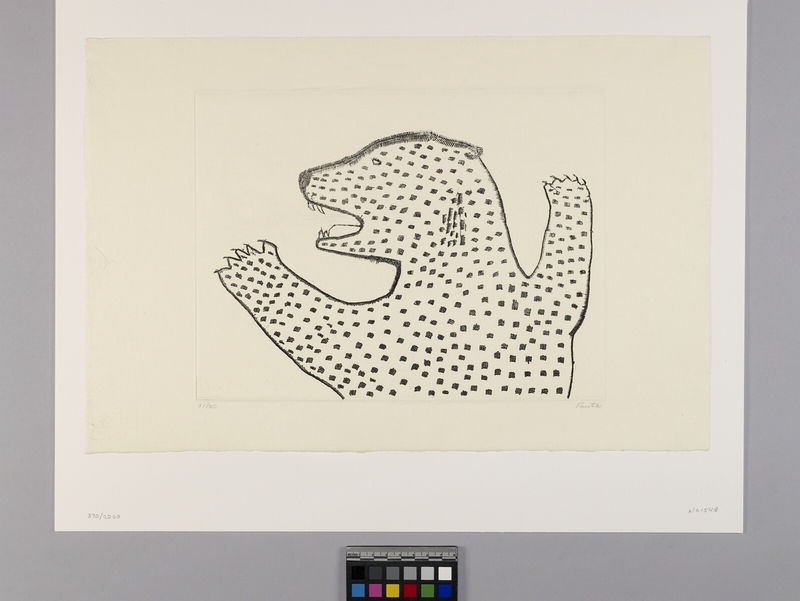 Print depicting a polar bear's upper torso and head with open mouth and raised front paws. 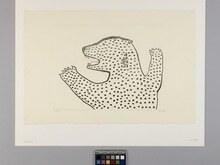 The print is rendered with short lines, and the bear has an overall spotted pattern. Below the image is written, "31/50 Pauta." The Canadian Eskimo Arts Council blind embossed stamp is in the lower right-hand corner. On horizontally rectangular cream paper, mounted with off-white matboard and framed.